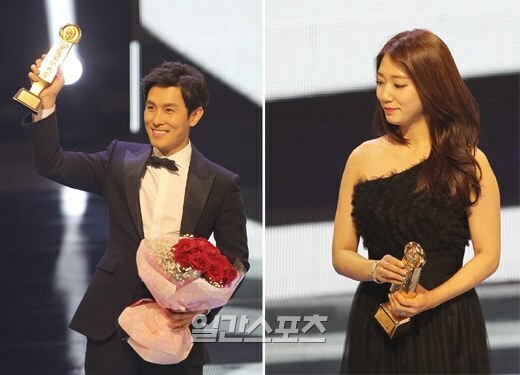 For the third consecutive year, Shin Hye has won yet again another Paeksang for Popular Actress. This just goes to show how much she is loved in S. Korea and overseas. She looks stunning as always in this black gown. Elegant, classy, and beautiful! Congratulations, Shin Hye. We love you so much. Our Princess looks so beautiful & lovely in whatever outfits she wore. How come she's sooo gorgeous, elegant and classy..
Go mi nam you are one of kind. Beautiful from top to bottom in your own way. When she walked down i kept remembering Catherine Zeta Jones, not i'm trying to say she looks like Catherine, but the way she carried herself in beautiful elegant night gown gave me goosebump and impression that she is one confident and beautiful woman in her blooming stage who has beautiful curvy body that enhance the womanly side of her in those every night gown that she wore. I've seen live record of red carpet yesterday. Wow.. I'm not trying to excagerate of PSH, but really, she was outstanding, among ladies that walked down on red carpet, she seemed confidence enough, walked smoothly and properly, posed perfectly in front of camera, smiled brightly, her hair flowed beautifully, her gown fitted nicely and flowed graciously. Not enough words to describe PSH last night. I dont want to bring down other actresses, but if you werent comfortable enough with your gown/dress, just dont wear it, it will make red carpet disaster on you. If your shoes cant support you enough, please leave it, red carpet one of main event in award winning event, ppl will remember you that day. And please, be confident and contended with yourselfe, it was showed all along the red carpet walk, i saw lots of ladies awkwardness last night, i can see from the way they walked, they smiled een when they posed. Oh man, how can ones that considered top actresses didnt know how to pose, well, the only way is learn! We'll see you next year. And PSH... I think she learn alot and mature properly, love the way she walked, smiled, posed and carried herself on last night event. Her gown very inspiring (all her gown,i think) simple,chic,classy,elegant.No need to add glamors accessories and much makeup.it's enough to presented how beautiful she is.d one important thing is: she's comfort to wear,not difficult for her when walked.And how her inner beauty come out when she walked on red carpet or on stage.Thanks a lot for her team(designer,makeup artist)well done sist! !Love you ShinHye!! I hv no words to express ur beauty.extremely pretty,sis!! !I like you a lottt and congr for ur success. No words can describe Park Shin Hye. Haha! I love her gown. Simple yet elegant. Looks great on her. Do they have FHM in Korea? Man if they have they should get her as cover girl. i think she is really mysterious because of her Go Mi Nam role and now she is transforming to. this and producers keep on casting her in sweet roles. its about time for her to star in R18 movies and it would be good if they cast her with Uhm Tae Woo and Kim Ji Hoon. Its so naive to cast her in Heirs, let her graduate frm that. Its time for R18 movies. 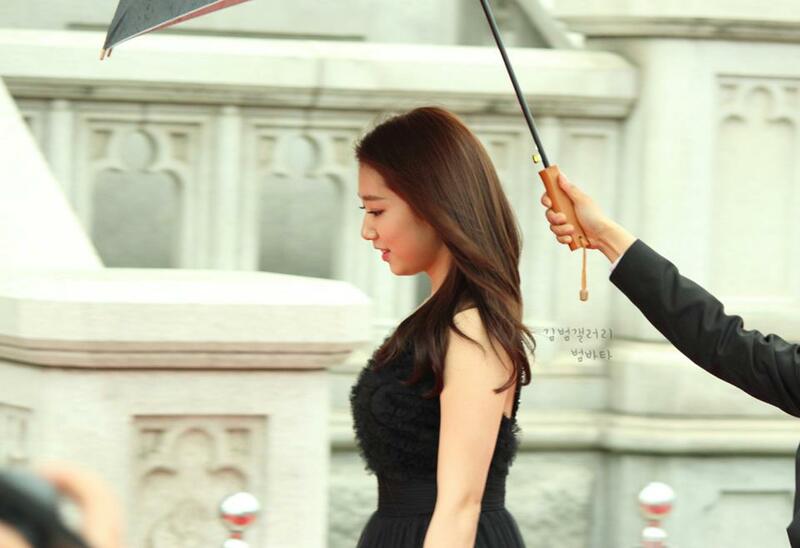 Congratulations to Park Shin Hye on winning third consecutive Baeksang popularity award. She is looking perfect from head to toe. Just beautiful and glowing. I love the way she is always comfortable in what she wears and how she carries herself with such grace and class. She totally stands out . Love the makeup by Jenny house. They always do a wonderful job on Shinhye just enhancing her natural beauty without turning her into someone else. Congratulations, to Park Shin Hye! She is admirable in everything she does, putting her heart and soul into every commitment. I just love watching her any time. I wish to see her in a beige or light peach color lace gown, walking the red carpet next time. I can imagine that will make her look pure stunning. I am a member of PSHIFC and I'm interested to be a Starlight Angel member. My friends love my Starlight Angel tee. Should have got more. Are they still available? I would appreciate a reply. Thank you. Anne. As of right now, we're not taking orders. We will let everyone know when we have tees again.